Uganda isn’t only famous for breathtaking scenery and incredible wildlife. 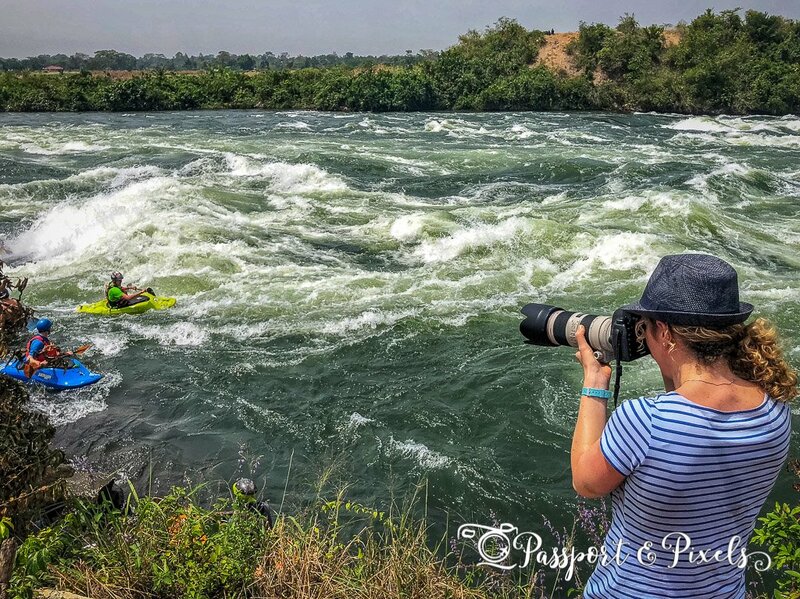 There’s another reason travellers flock here: to brave some of the most thrilling and accessible Grade 5 rapids anywhere in the world, on the mighty River Nile. At 6,500 km, the Nile is the longest river in the world. 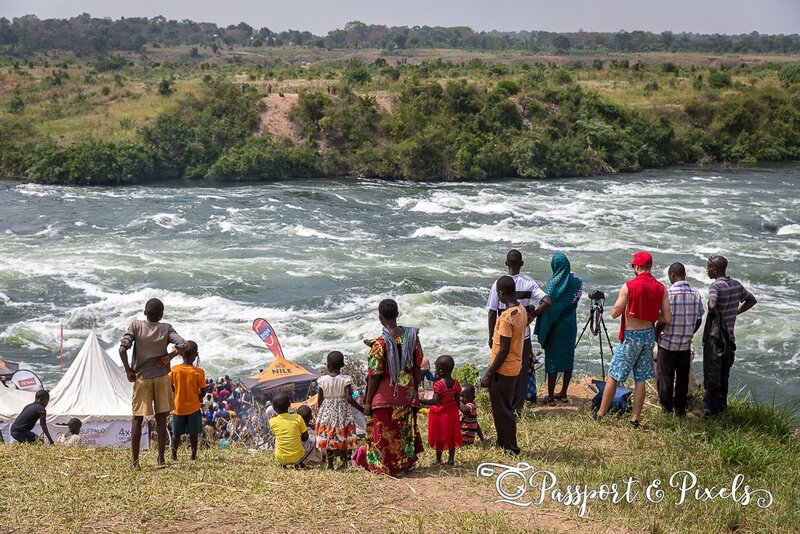 It starts its journey at Lake Victoria in Uganda, and pounds its way over falls and rapids as it sweeps northwards across the African continent all the way to the Mediterranean. 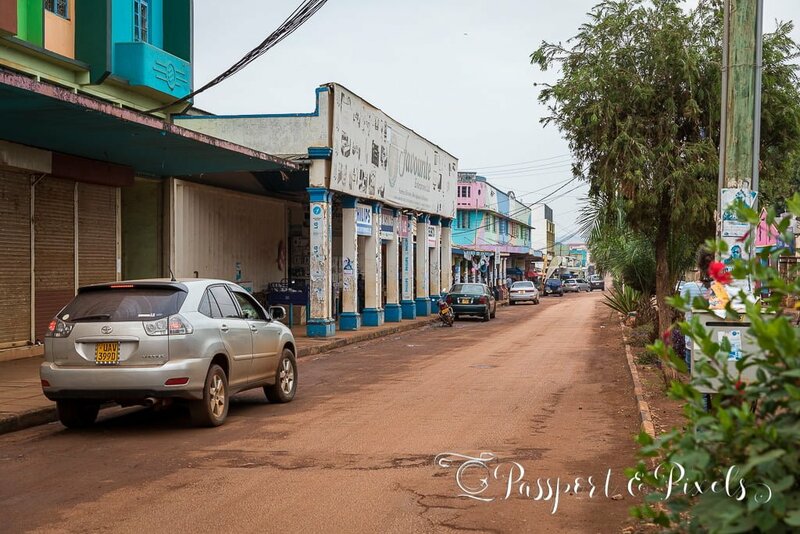 But the town of Jinja, 80km east of Kampala, is where it all begins. 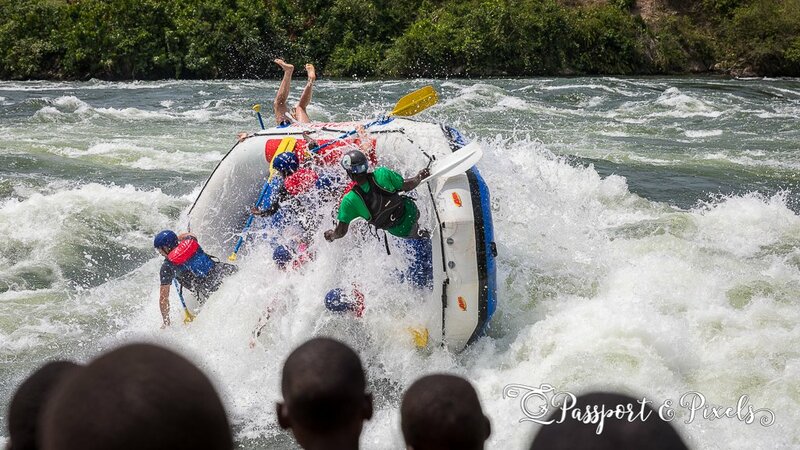 Jinja is famed for being the source of the Nile, and it’s where adrenalin-junkies of all abilities come to enjoy white-water rafting, freestyle kayaking, bungee-jumping, quad biking and other adventure-based adventures. 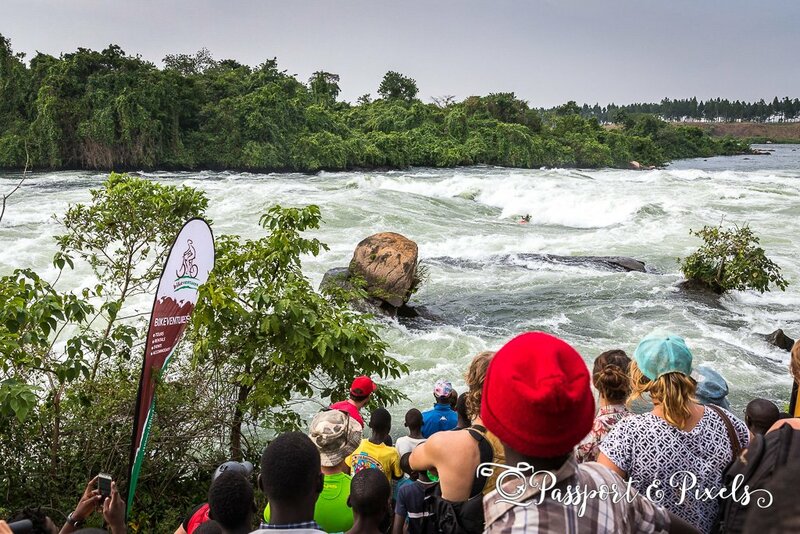 Every year in January, Jinja – or more specifically the nearby settlement of Bujagali – also plays host to the Nile River Kayak Festival, a three-day event during which the top kayakers from around the world prove their strength, bravery, and skill by taking on the most challenging rapids in a range of races and competitions. But you don’t have to be a top kayaker, or even any kind of athlete, to attend. 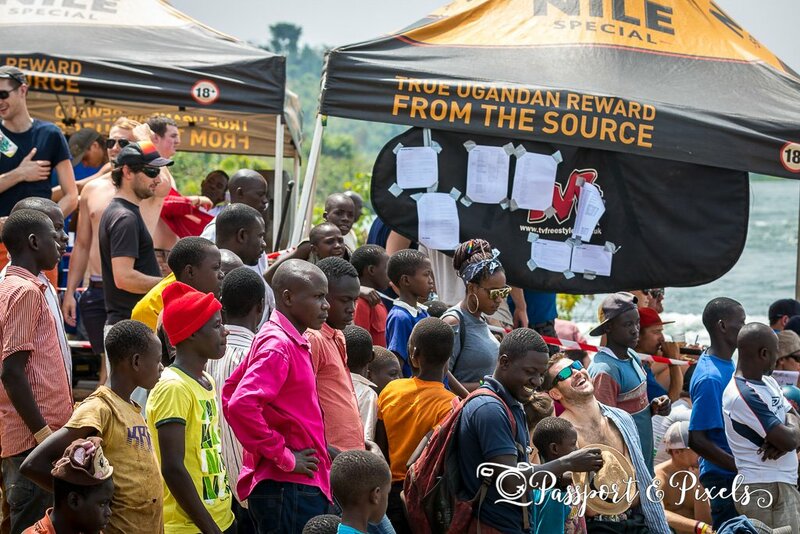 The Nile River Festival is open to everyone, and for one weekend pretty much anyone who lives in the surrounding area, plus a large chunk of the population of Kampala, descends on Jinja to enjoy the scenery, the fresh air, and the spectacle. 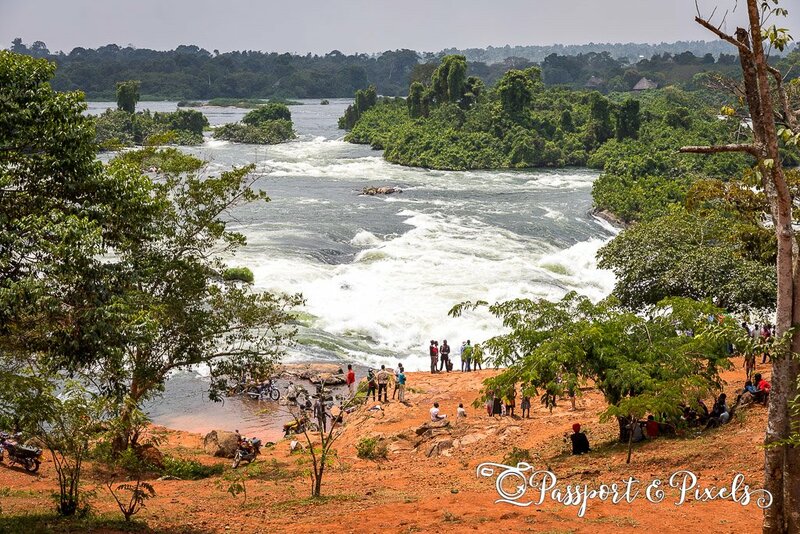 So since I’m currently living in Kampala, and Jinja is only a 2-3 hour drive away (depending on traffic), and just about everyone was going to the Nile River Festival, I decided to tag along. A friend and I rented a car, took the Friday off work, and drove up in the morning. First stop: the town of Jinja itself. Jinja was planned in the 1940s under British colonial rule, and still boasts a sort of crumbly colonial feel. 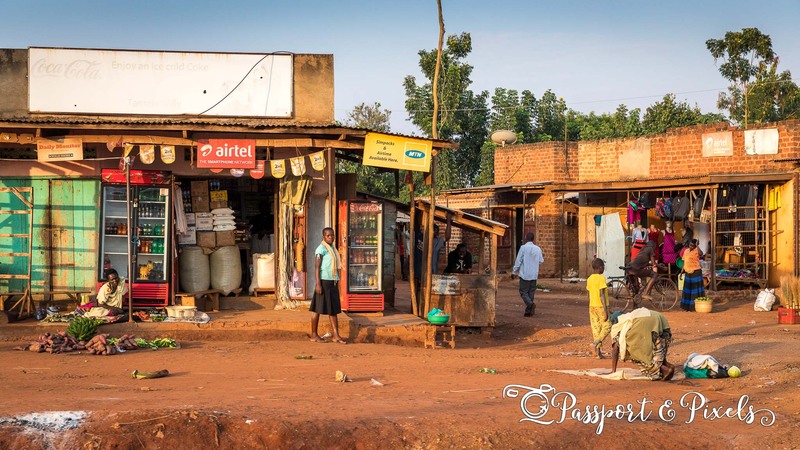 The city used to have the second largest economy in the country, and the brewery for the popular Ugandan beer, Nile Special, and a huge sugar cane processing plant are still huge employers in the area. Today, though, more and more locals work in the industry that brought us there: tourism. However my friend and I didn’t spend all that much time in Jinja itself. 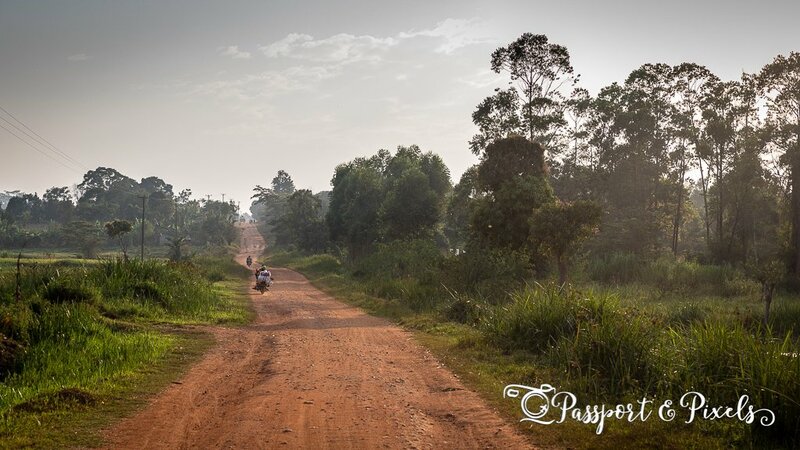 After dropping off our stuff at our guest house, Casa Mia, and a quick lunch at The Deli, Jinja’s most popular cafe, we jumped back into the car for the 45-minute drive along pot-holed orange dirt roads to Bujagali, where the festival events were taking place. 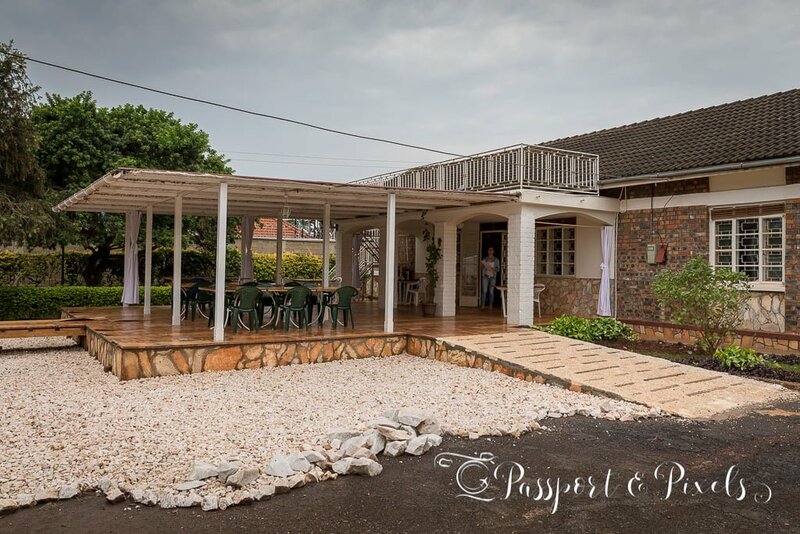 If you’re ready to book, click here to see a selection of hotels in Jinja. Our destination was the quirkily-named Hairy Lemon Island, an island in the middle of the Nile that’s been developed into a tranquil and scenic backpackers’ hangout, complete with rustic sleeping huts, a camping area, and a bar. As it’s an island, the only way to get in or out is in a rickety wooden canoe, navigated with skill across the strong current by a local oarsman. It was just as well we were only there for the afternoon, as bringing bags and tents across in the small boat looked a little challenging! Here’s a short video so you can get a sense of the place. It’d be an idyllic place to chill out with friends for a weekend away from the city – but that wasn’t why we were there. 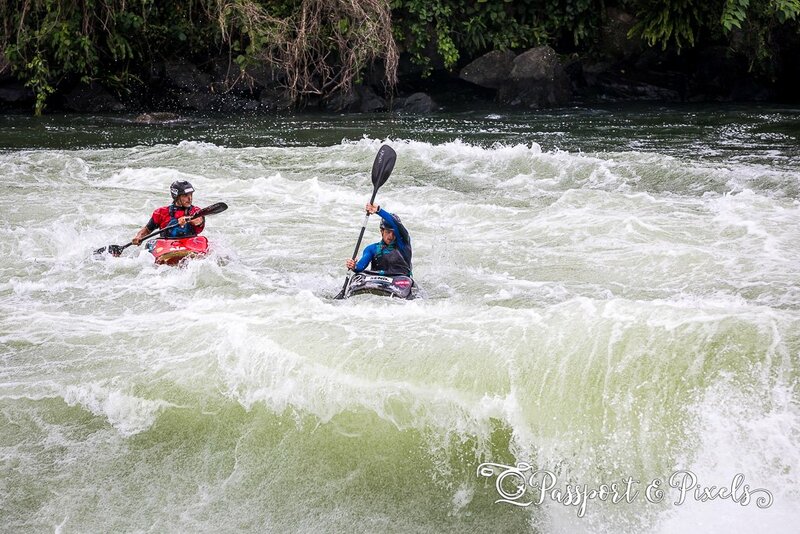 The island was also close to the finish line for the Nile River Festival’s first challenge, a 35 km endurance race through some of the most challenging rapids on this part of the river. We, of course, didn’t have to struggle with any of that. We simply sat in the shade, drank beers, and enjoyed the scenery while the last few exhausted kayakers came home. 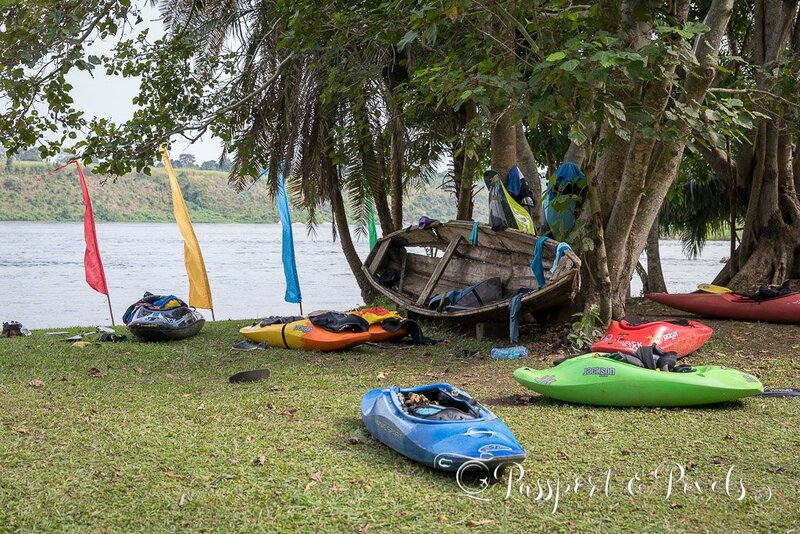 After a night at our hotel back in Jinja, we made the same 45-minute journey back out to Bujagali for one of the highlights of the Nile River Kayak Festival: the Nile Special Freestyle Kayak Competition. 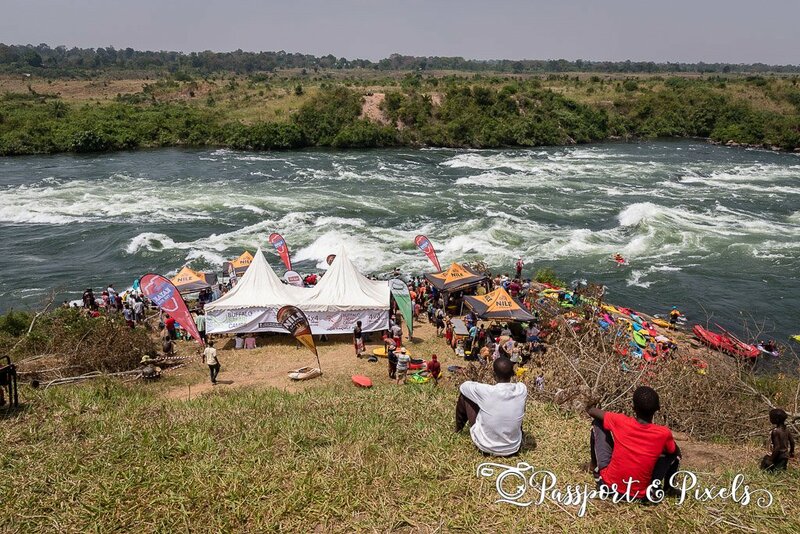 A festival site complete with bar and food stalls had been set up on the riverbank just facing one of the area’s most iconic rapids, named Nile Special after the local beer. The Nile Special is a permanent wave several meters tall. 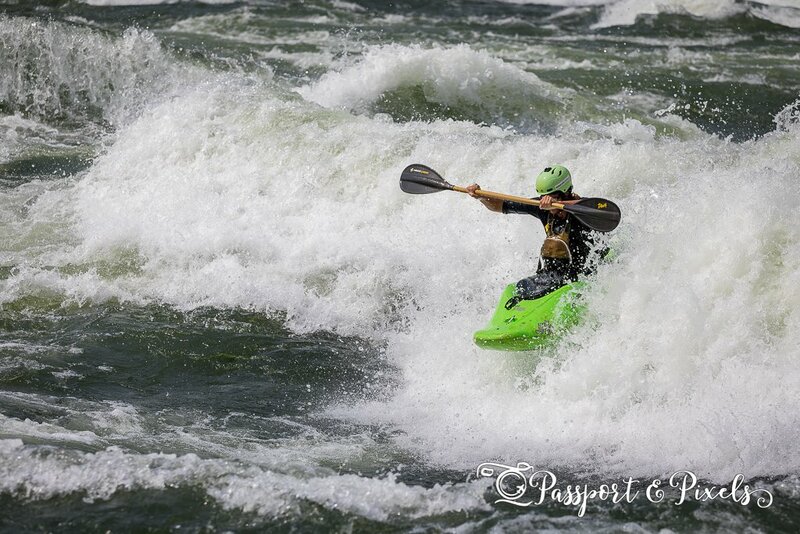 Unlike other rapids that peak and surge at different times or under different conditions, it’s there all year round, making it perfect as a competition location. 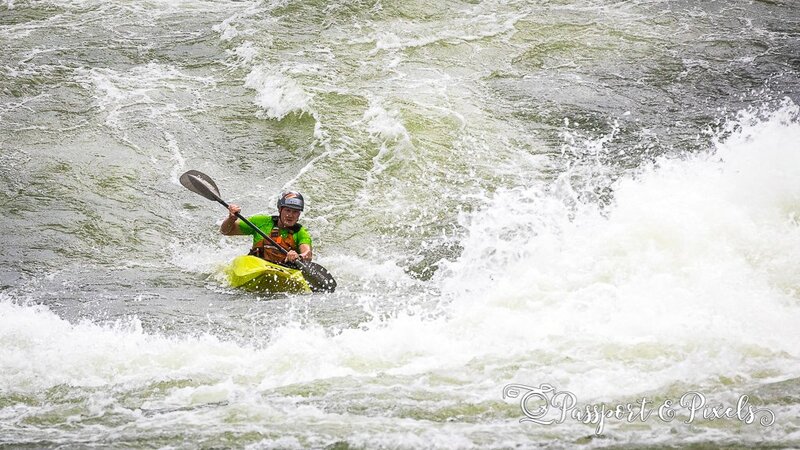 I quickly learned that Freestyle kayaking is a bit like a cross between surfing, kayaking and skateboarding. Competitors had up to 40 seconds at a time to stay in the Nile Special wave for as long as possible and perform tricks. They were judged on the number and difficulty of stunts they achieved, as well as on endurance and technical skill. Some were able to stay in the wave doing jumps, twists and turns for the full 40 seconds, while others lost control and were quickly swept away. But awesome as this portion of the event was, it was tinged with sadness. Because in a matter of months this entire section of the river, including Hairy Lemon Island and the Nile Special rapid, will be no more. The area is due to be flooded in 2018 as part of the construction of a new hydroelectric power plant and dam at Isimba, about 40 km downriver from Bujagali. When the river is dammed, the water will back up, creating a reservoir and flooding this entire area. This view below, and Hairy Lemon Island, will cease to exist. Isimba will be the second dam in this area. The previously iconic Bujagali Falls, once a huge tourist attraction and one of the top white-water rafting spots in the world, have already vanished, sacrificed to the cause of a new 250-megawatt power station. As someone who has experienced the inefficiency of Uganda’s electricity network, with regular power cuts and surges, I can completely understand the need for a better system. That said, less than 3% of the population is currently connected to electricity, so I do hope the sacrifice is worth it and the new plant will be the first step in rolling out power to more of the country. 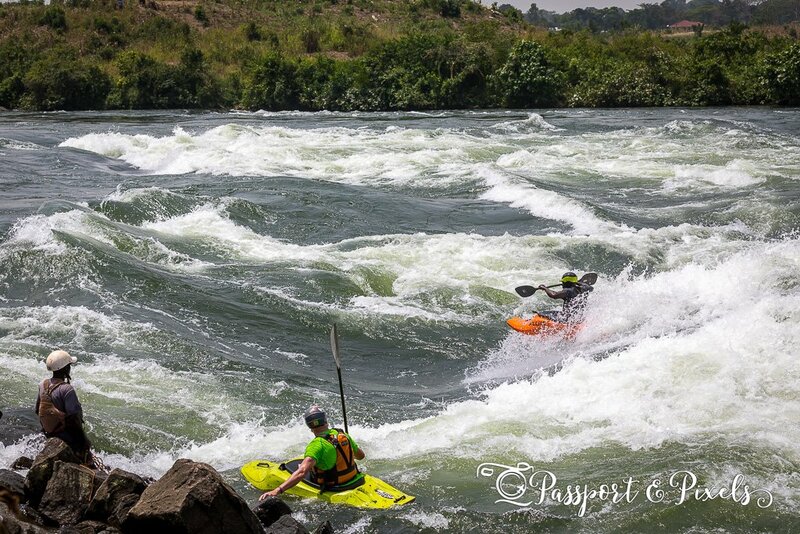 But if you were thinking of visiting the Nile River Kayak Festival, don’t worry. Not everything is being destroyed and the show will go on – the Festival will continue, just on a different section of the river. After the day’s events we decided not to go all the way back to Jinja, and instead stayed at the Nile River Explorers Camp, about 8 km outside the town and much closer to where all the festival action was happening. 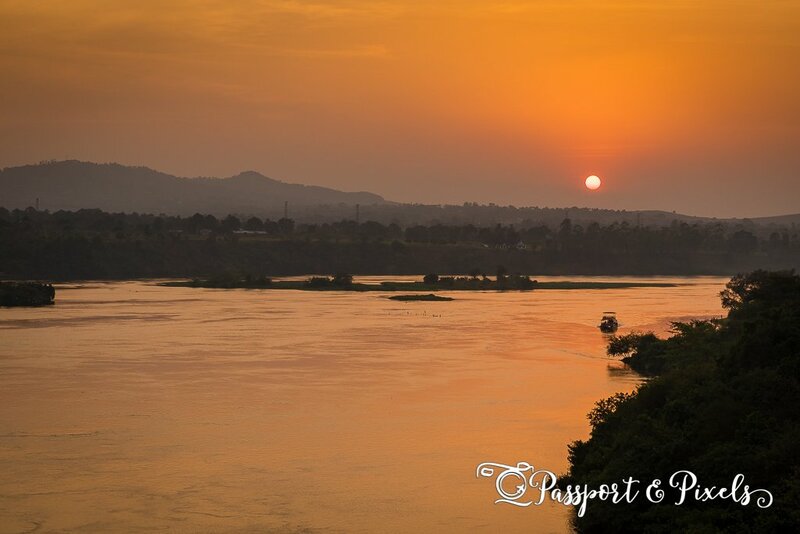 As well as running the full gamut of whitewater and adventure activities, Nile River Explorers offer camping, shared dorms, and private rooms, plus a bar, restaurant, and amazing views over the river. Their camp was also where the festival after-party was happening, so really it was the absolute best place to stay, as long as you don’t mind the noise of the party going on until the small hours! That evening, after watching the sunset we enjoyed the legendary and highly recommended full rack of ribs at Black Lantern restaurant right next door to NRE, and then went to the party. Well if you can’t beat ’em, join ’em, right? And at least we didn’t have to worry about how we were going to get home afterwards! Hendri Coetzee was a South African kayaker and adventurer who was taken by a crocodile in 2010 while on a kayaking expedition. 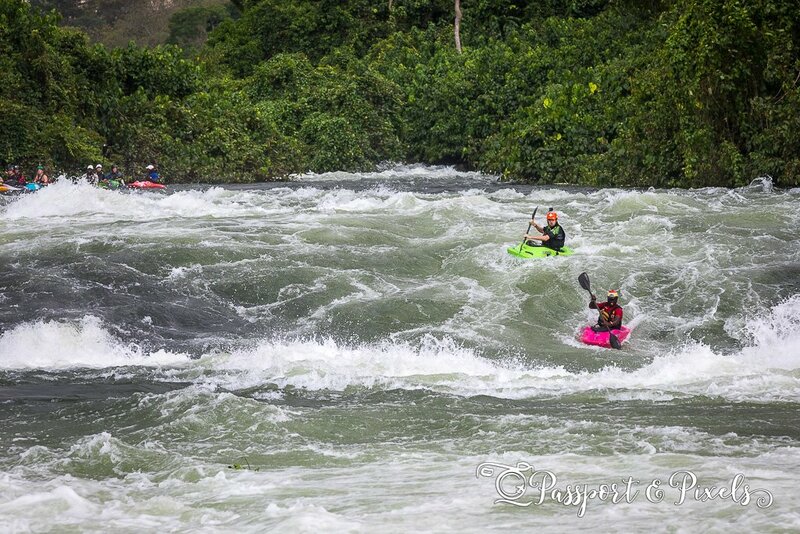 Now he lends his name to the final event of the Nile River Kayak Festival, a hair-raising race down the stunning Itanda Falls. Hidden away down yet another bumpy dirt road, you would never find Itanda by yourself unless you had a local to guide you. Even with detailed directions from the festival organisers we struggled to get there, and only managed with help from passing locals who saw our car full of tourists and knew immediately where we were going. But it was worth it the trouble. 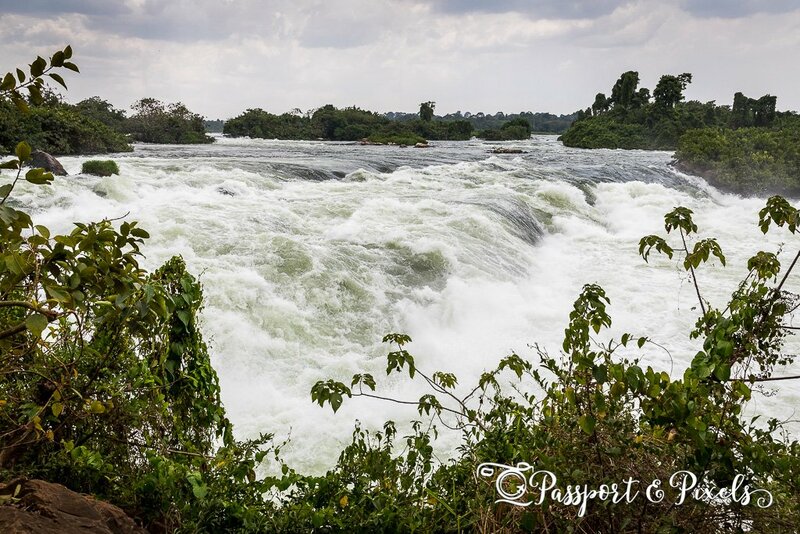 Itanda Falls are loud and spectacular, a churning white mass of eddies, froth and foaming water shining out amidst the vivid green of the forest and the bright orange African dirt. It’s stunning, but also dangerous. 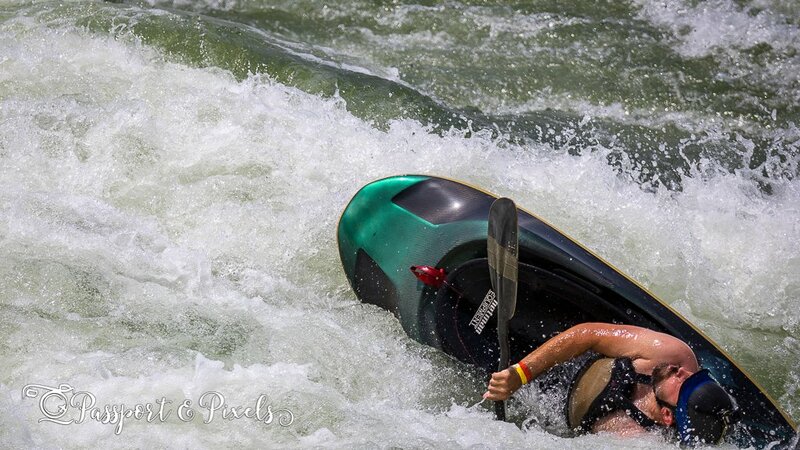 Some of the rapids are rated Grade 6, the most difficult there is. Local fishermen have died here from slipping and falling into the churning water. Rafting companies pull into shore at this point and carry the boats round as it’s simply too risky to send a boatload of tourists over the top. But no such luck for the kayakers taking part in the race. They were challenged to paddle in pairs down this hair-raising section of the river – requiring jaw-dropping levels of skill and bravery. Want to go to next year’s festival? 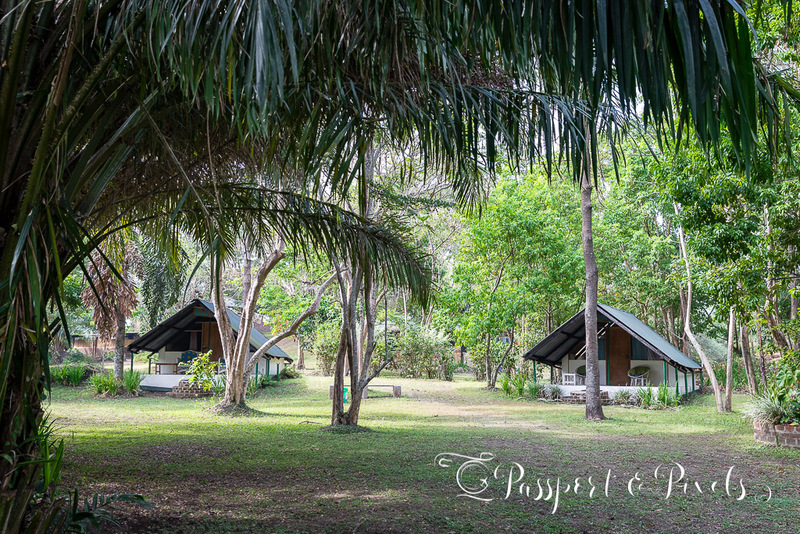 The best place to stay if you want to be close to all the festival action is Nile River Explorers camp. Hairy Lemon will be no more, but by next year they may have set up a site somewhere new, so it might be worth a bit of research. If you want to stay at NRE you should book early though, as it will fill up fast. 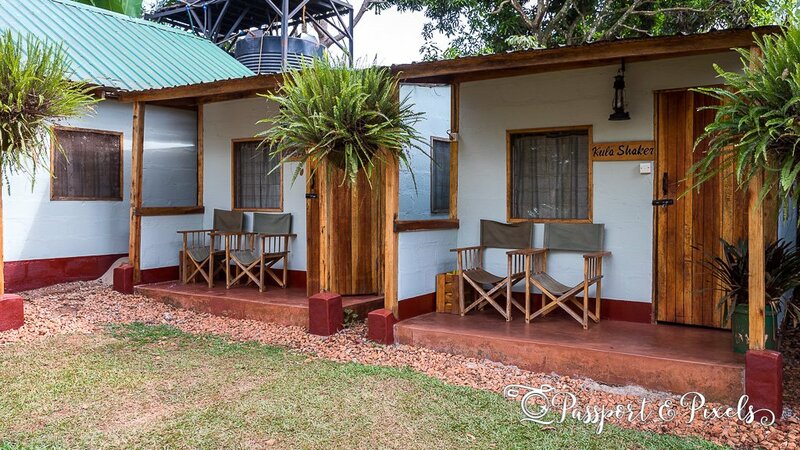 If you’re ready to book, click here to see a selection of hotels in Jinja. If you do end up visiting NRE, I highly recommend going to Black Lantern for dinner. Book in advance and aim to go early, as although the food is excellent the service is painfully slow! We found it helpful to have a car, giving us freedom to come and go at our own pace, but you don’t need one. There are festival buses running between Kampala and Jinja at the start and end of the weekend, and every day shuttle buses are laid on from NRE to take competitors and spectators to the competition sites on the river. The sites are far from anywhere and there is little shade, so make sure you take water, suncream, and a hat. As we had to get back to Kampala for work we didn’t have any time to see Jinja. If you have time, I’d recommend staying on an extra day to explore the town a little. Have you been to the Nile River Festival? Or are you thinking of going? Your thoughts and comments are most welcome below. Looks like an amazing event and a stunning location. I wonder how many of the locals get involved in kayaking. Such a shame that the area will be flooded. I wonder why the government is not pursuing less invasive forms of renewable energy? Solar and wind for example. Thanks Joel! I don’t suppose many of the locals do get involved, no. It’s mostly a tourist activity and almost certainly way too expensive for them. And yes, a real shame about the dam. I’ve heard mixed reports but lots of people are saying it’s a big white elephant and that the previous dam/plant already is not running at full capacity, and that the whole thing involves huge backhanders from the Chinese and a lot of cash going into people’s pockets… Solar would obviously be a much better idea! What an adrenaline rush, and such gorgeous photos!